Local Loveland Dog Trainers | What Does A Dog Trainer Really Do? 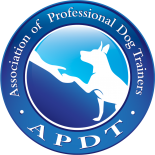 What Does A Dog Trainer Really Do? First and foremost our job is to train your dog, but being a dog trainer takes a lot more than you’d expect. There are schools, seminars, tons of books to read, videos to watch, and events to attend, that all help in becoming a good dog trainer. Unfortunately each and every dog is different. Which means that no specific training technique is going to work, for any specific dog. You can see some of the different techniques in our training gallery. In all reality the best way to learn how to become a dog trainer or learning to train or dog is to train your dog. The most important part of training isn’t the techniques you use, or the commands, but the results from the techniques you use. Experience is highly valuable, something I am very grateful that Zach has a lot of. Becoming a dog trainer on your own without a helping, guiding hand would be absolutely terrible. A dog trainer must know when to reward the dog, how to reward the dog, read a dog’s body language, make the dog move how you want them to with body positioning, knowing when to correct a dog is equally important. Let me tell you before I started working with Zach, I was lost to a degree. Zach with all of his experience as a dog trainer in Loveland, Alaska, Denver, Fort Collins, etc. Helped show me the ins and outs, what to look for how to reward, when to reward and when to correct. 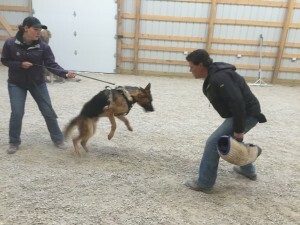 This all makes a huge impact on training any dog. Whether it’s a Yorkie or a Great Dane, each dog responds and as a dog trainer we have to know what that response means. Zach’s expertise lies in protection dogs, detection dogs, advanced obedience and behavior modification. While Chris specializes in being bitten by dogs, advanced obedience, puppy problems, and detection dogs. So if you’re looking for an experienced dog trainer in Loveland or Fort Collins. Give us a call or contact us we’ve got the dog training answers you are looking for.